If you’re like me, the idea of getting up from your bed or couch to actually clean the room should fill you up with dread. Even though modern technology has given us vacuum cleaners (which beats brooming any day), taking those bulky machines out and lugging them around is a chore in itself! So, if the idea of lugging a Hoover around kills your motivation to clean before you can even muster it, well fret not because I have the perfect solution: a stick vacuum. 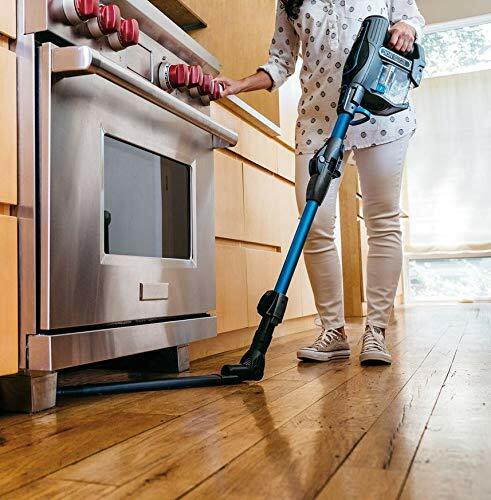 Essentially, it is a thinner, portable version of a traditional vacuum, and I’m featuring the best one today: the Shark IONFlex DuoClean! 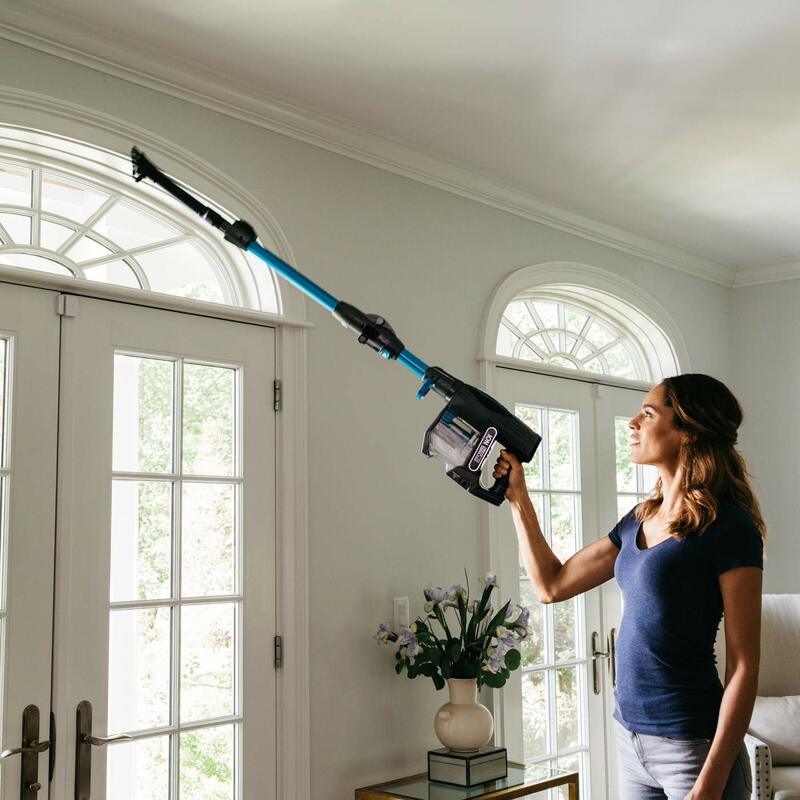 Hi, I’m Heather Couch, an interior designer and an unapologetic clean freak, and here’s all you need to know about the Shark IONFlex DuoClean. Shark is a subsidiary of SharkNinja, a manufacturer of household appliances. SharkNinja was established in Montreal, Canada and is now based in Needham, Massachusetts. 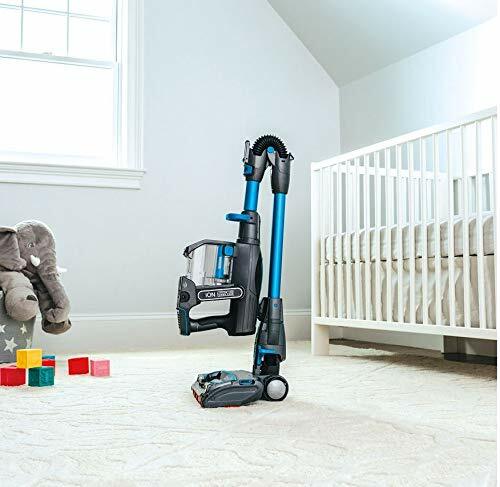 The Shark IONFlex DuoClean is one of the most innovative vacuum cleaners on the market. It sports a bunch of revolutionary features which give cleaners by other established brands a run for their money. It comes with two rechargeable lithium-ion battery packs. The stick is hinged in the middle, meaning the cleaner can flex for under-furniture cleaning (hence the name “IONFlex”). It is also ultra-portable and folds for use as a wall and crevice cleaner and also folds for storage. I got to know of the Shark vacuum cleaner via an online advertisement, and the moment I clicked on it, I knew this product was what I wanted! For years, I was hoping someone would come up with a better way to clean hard floors and carpets, and now we finally have it. I bought it instantly, and the product was delivered well in time. I couldn’t wait to unbox! 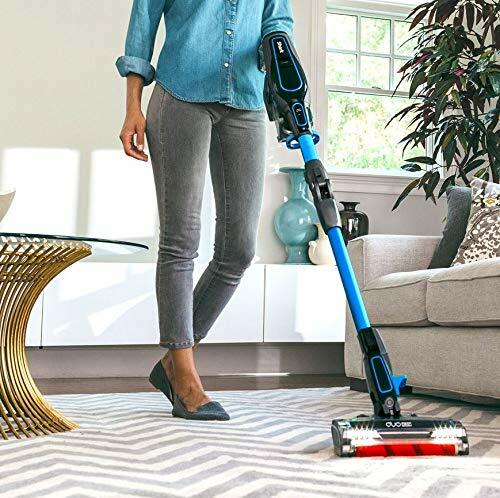 The Shark looks less like a vacuum cleaner and more like a lightsaber on steroids, and that’s a good thing because traditional vacuum cleaners look so drab. The color scheme and the design are flashy, and the stick itself looks and feels very premium. At the end, the Shark features the mouth of the vacuum. Even though this is a portable cleaner, I couldn’t help but think that the mouth is slightly small for the intended purpose (you’re going to be cleaning your whole house with this, after all). It features a red-and-black brush roller with two LED lights. 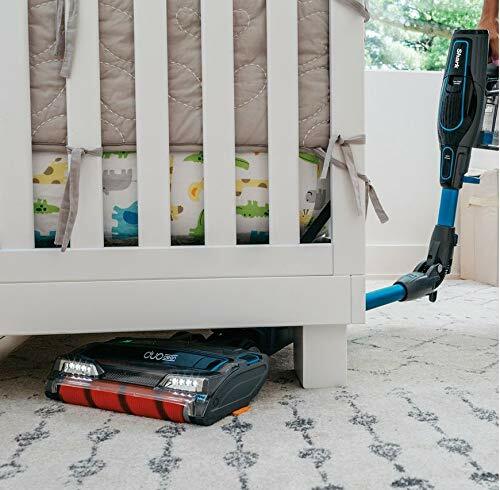 The Shark is an amazing product that makes light work of everyday household cleaning and there a lot of things to like about this. Starting with the rechargeable battery pack, it relieves you from the hassle of cords, wires, power points, and also of having to charge a portable cleaner before operating it. There are two removable lithium-ion battery packs, and the Shark needs only one at a time to operate. This means even if one pack is charging, the Shark can still run using the other one. Furthermore, as there are no cords to fiddle with, you can use the cleaner in any manner you wish without worrying about tripping over wires! In the middle of the stick, Shark has been kind enough to provide a hinge. The upshot? The Shark can bend in the middle, which means you don’t have to lift or move furniture to vacuum underneath it. Genius! But that’s not all to the Shark’s foldability. The main handle can stand fully erect in “Upright Mode” which means you don’t have to bend to vacuum (bye-bye backaches). However, if you wish to lift the Shark for cleaning your walls (more on that later), the handle folds rightwards and inwards and reduces the stick’s length for precise cleaning. As mentioned, the Shark can clean hard floors, tiles, and walls as well! Corners, crevices, and shelves are easy to clean, and this feature will ensure your house remains spotless. Lastly, the roller brush and the LEDs that light it are amazing. The lights ensure that specks of dust which would otherwise go unnoticed are lapped up. As amazing as the Shark is, nothing’s perfect, and I do have a few complaints with it. For starters, while the design appeals to my tastes, it might be considered too flashy by some, and Shark could’ve made it slightly less offensive. Secondly, and this is a major complaint: the runtime of each battery pack isn’t all that great. I averaged a little over 18 minutes per battery, which means that with both the batteries fully charged, I struggle to get anywhere over 36 minutes per cleaning session. Considering that the vast majority of users will not keep both batteries brimmed at all times, the average runtime you can expect is a little over ten minutes (twenty if you’re using both batteries). The Shark IONFlex is an amazing product which makes cleaning less of a chore and more of a breeze. It makes light work of under-furniture and wall cleaning. It also frees you from having to plug your vacuum cleaner in. It is the best portable cleaner on the market today, and I recommend buying it. This entry was posted in Cleaners. Bookmark the permalink.